Amazon's online storage and streaming service. Currently limited to US account holders, Amazon's contribution to the smorgasbord of online storage and media streaming services is Amazon Cloud Player, a service which allows users to stream and download media stored on the Amazon Cloud Drive to any Mac, PC or Android device. 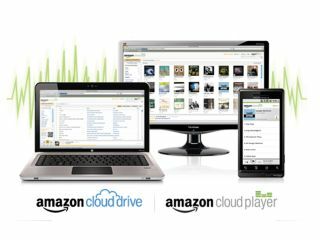 Unlike services like Grooveshark and Spotify, Amazon's Cloud Player only lets users access files they have saved to the Amazon Cloud Drive themselves, whether purchased through the Amazon music store, or uploaded from their personal collections. The web-based Amazon Cloud Player gives users the ability to download and preview media stored on the Amazon Cloud Drive from any location, catering for Android users with the Amazon MP3 App, which provides access to the Amazon online store and the ability to play music stored on the Amazon Cloud Drive along with your on-device music. The free service only offers a miniscule 5GB of storage, but music purchased from Amazon's online store and saved directly to the Amazon Cloud Drive doesn't count towards your storage limit and purchasing an mp3 album in the Amazon store also upgrades you to 20GB of storage free of charge. Amazon also offers users the option of increasing their storage capacity through their series of purchasable storage plans, starting at 20GB and maxing out at 1000GB, with each plan charging an annual rate of $1 per GB.